As you probably can tell my excessive posts, I’m highly anticipating the release of Maleficent next week. But in the meantime, Disney’s managed to get me equally excited about their follow-up live action fairytale film, Cinderella, slated for an April 2015 release date. 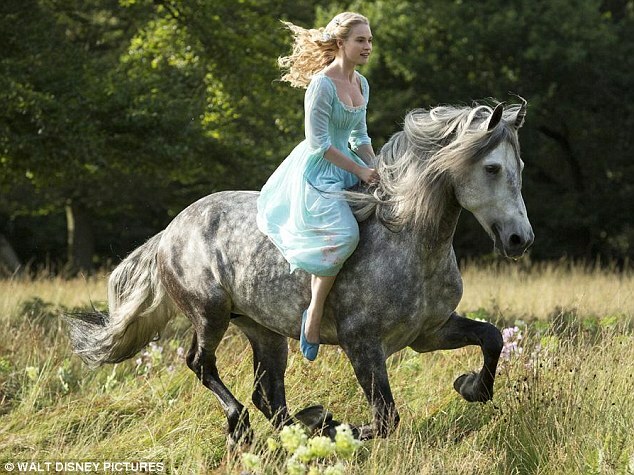 Lily James as Cinderella looks the part in the first released production still. And the robin egg blue shade of that dress is perfection.